Toy Fair New York kicks off this week and for those of us who have a passion for toy tech or have kids (in my case both! ), then it’s an eagerly anticipated event. But at any event, there’s so much noise so how best to cut through the noise and get what’s really important? Seeing the Big Guys is Like Waiting in Line at a Vegas Club So Get on the Guest List. The Javits Center is a huge convention space. There are two main floors to Toy Fair you will want to pay attention to. When you check in at the lobby where you get your pass, you will immediately see that the big toy brands are on the 3rd floor and the smaller brands are on the 1st floor. If you want to see the larger brands on the 3rd floor, know that many of the booths are closed booths and you typically need to have an appointment. If you don’t have an appointment, be prepared that you may have to wait or be turned away. Be Inspired with Toy Trends and Innovation on the 1st Floor. But while a good chunk of the show floor space is taken by these large companies, there are also hundreds of smaller toy manufacturers that sell really interesting products. These companies can be found on the 1st floor which is broken into “product zones” - think action figures, arts and crafts, education, games and puzzles, etc. This is where you will see many new product trends so it’s a great place to hang out to see what may be the next big thing for the whole industry. For example, small companies were early to respond to calls for girl action figures and now you have many larger companies offering the same. Wonder Women Awards Gala. While it’s worth stopping by the Women in Toys booth at the exhibit, the gala itself is fantastic to celebrate the most talented and accomplished women in the industry. Last year over 650 people attended and they really are the crème de la crème of our industry. TOTY Awards. Known (by them) as the Oscars of the Toy Industry, this event effectively kicks off Toy Fair and creates an additional halo for the companies exhibiting that win the award. Getting on the right side of the TOTY team goes a long way so it’s an event that shouldn’t be missed if you want to build relationships. Be Street Smart. Leaving Toy Fair is hard! The Javits Center is not near any subway station and the show floor closes at 6 p.m. with most people leaving at around 5pm – right at rush hour and when most taxis are changing shifts. The organizers do offer shuttles that will take folks back to registered hotels, but otherwise the lines for a cab are super long and it can be practically impossible. Top tip – walk away a block or two and then call up an Uber, Lyft, Juno or NY-favorite Via. Also worth knowing that on the last day of the show (Tuesday), you can store your luggage at the convention center. So, if you want to go to the show and are catching a plane out later, you don’t have to leave it at the hotel, instead bring it to the show and head straight onto the airport. 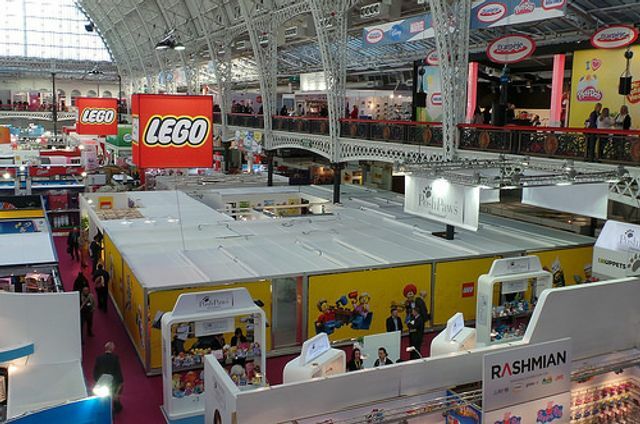 If you’ll be at Toy Fair, please let us know, we'll be out on the show floor looking for the latest tech toys for our own industry knowledge (and getting started on our own kids Santa lists) so look forward to seeing you there! Toy Fair is more than 443K sq. ft. of toys, games & youth entertainment products! It's also a place for play professionals to join discussions on topics ranging from global trade to toy dev. As predicted by our Gen Alpha report, TikTok massive phenomenon in the U.S.
Am I letting my kids down?